Binyamin Region Council Head Avi Roeh says Israeli government needs to keep its promises, or Council will be forced to step in. 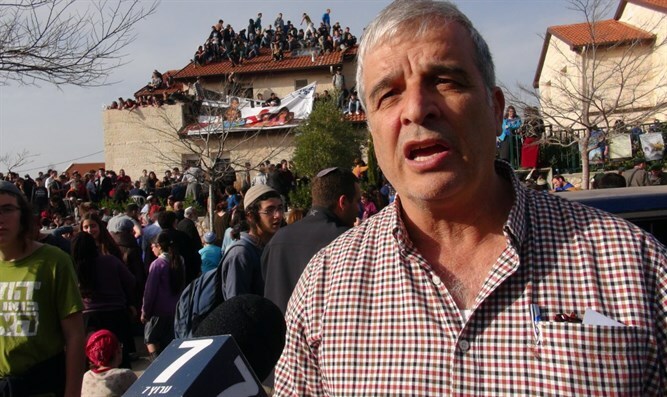 YESHA Council Head and Binyamin Region Council Head Avi Roeh responded on Sunday morning to Channel 2's Saturday night program, which quoted US President Donald Trump as allowing Israel to build Amona expellees a new town, as long as building was limited to existing settlement blocs. The YESHA Council is an umbrella organization of municipal councils of Jewish settlements in Judea and Samaria. In an interview with Galei Zahal Radio, Roeh said he expects the Israeli government to fulfill its promises to Amona's residents, but opposed any agreement to freezing building outside settlement blocs. "We don't know of any agreement between Israeli Prime Minister Binyamin Netanyahu and Trump on the matter, and we don't agree to the existence of such an agreement," Roeh said. "If the Israeli government does not agree, the responsibility to act will fall on our shoulders, and we will be forced to act. As Council Head, I have an obligation to these forty families. "There are forty families who were promised a new home. We expect the Israeli government to keep its promises. We will allow the government to make its own decisions, and I believe it will make those decisions."